I Sang is a simple choral work consisting of a two note, two-part harmony that loops and never resolves. The title has meaning in both Norwegian and English. The Miller and McAfee Press were struck by the Norwegian trait of saying “yes” on the in-breath, and how similar this can sound to the English speaker’s sharp intake of breath to signal alarm. The work is sung on the in-breath, with the singers clearly exhaling between notes. 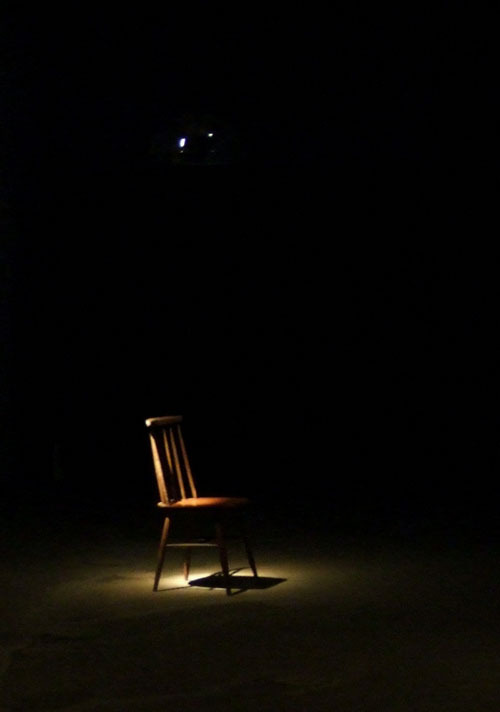 The work is presented through a direction speaker above a chair; the listener invited into an intimate association with the frail and discomforting voices.